It’s been over 100 years since author Edgar Rice Burroughs published his first Tarzan novel and nearly half that long since the character was last relevant in pop culture, so it’s understandable why Warner Bros. may have thought it was a good idea to resurrect the franchise as a big summer blockbuster. Unfortunately, there’s a reason Tarzan hasn’t succeeded in recent times, and that’s because it’s a largely hokey premise that is firmly rooted in the sensibilities of a bygone era. 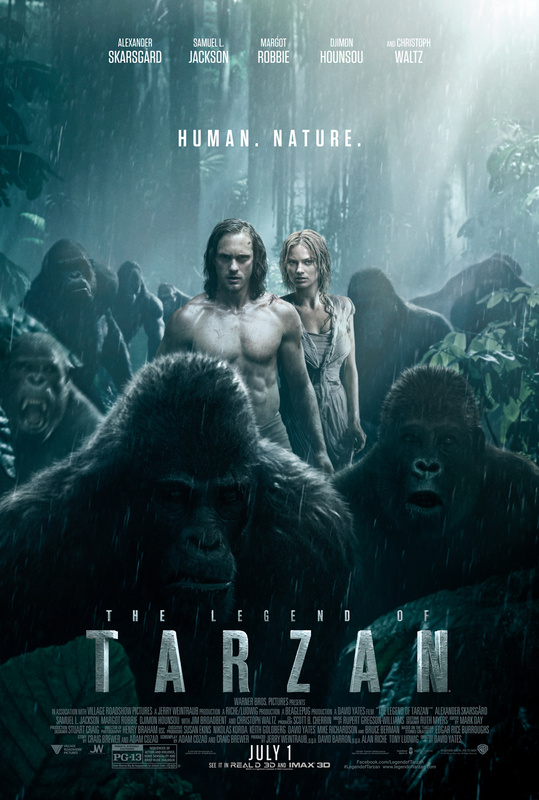 Though director David Yates’ reboot is admirably old-fashioned in execution, a gorgeously filmed adventure movie shot with classic Hollywood grandeur, “The Legend of Tarzan®” is as soulless as the registered trademark symbol that appears on the opening title card. Set in 1890, the film begins several years after the man formerly known as Tarzan (Alexander Skarsgård) left the jungles of Africa to assume his rightful position as British aristocrat John Clayton III alongside his wife Jane (Margot Robbie). But when he receives an invitation from King Leopold II of Belgium to return to the Congo as a trade emissary for the House of Commons, American statesman George Washington Williams (Samuel L. Jackson) convinces him to go in order to investigate rumors that Leopold is using slave labor to colonize the country. Upon arriving in the Congo, however, John discovers that the whole trip is a ruse devised by Leopold’s trusted advisor, Leon Rom (Christoph Waltz), who has agreed to hand John over to a vengeful chieftain (Djimon Honsou) in exchange for diamonds needed to pay off Leopold’s mounting debt. John manages to evade capture, but Jane is kidnapped in the process, prompting him to unleash the beast he’s kept contained for so long in order to rescue her. It’s very rare for a movie franchise to get better with each successive installment (especially in the horror genre), but that’s exactly what writer/director James DeMonaco has done with the “Purge” series, refining the concept each time by carrying over the elements that worked best. 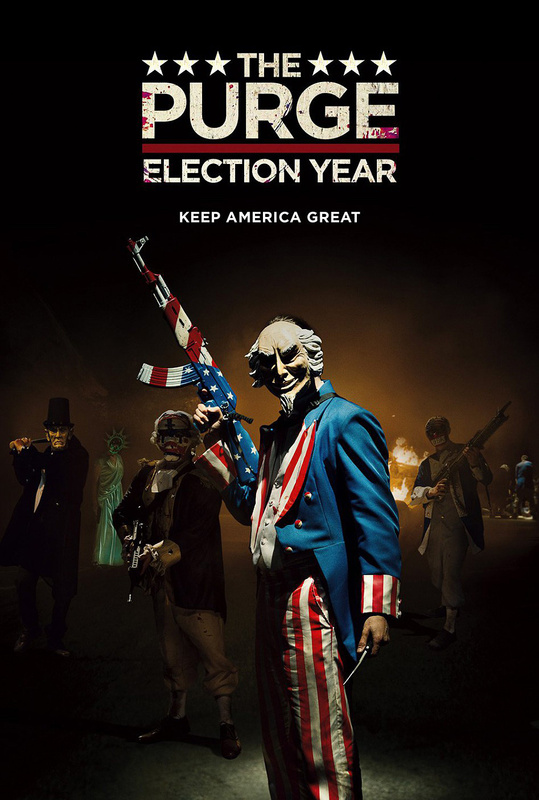 Though “The Purge: Election Year” inherits many of the same problems from 2014’s “The Purge: Anarchy,” chief among them the absurdity of the Purge itself, it also builds on its strengths to produce another John Carpenter-styled action thriller that’s equal parts cheesy B-movie and pulpy fun. It’s not necessarily a good film, but what “Election Year” lacks in quality it makes up for with a deft understanding of its audience. Two years after choosing not to murder the man who killed his son in a drunk driving accident, former police sergeant Leo Barnes (Frank Grillo) is now working as the head of security for Senator Charlene Roan (Elizabeth Mitchell), a fast-rising politician who watched her entire family get massacred during Purge Night 18 years earlier. Senator Roan has been gaining ground on the current presidential frontrunner thanks to a campaign built on ending the Purge once and for all, and the NFFA (the New Founding Fathers of America, a.k.a. the rich white guys behind the Purge) wants her gone before the election. After lifting the immunity clause on all government officials for the upcoming Purge, the NFFA plots to eliminate Roan by attacking the senator at her well-guarded home in Washington, D.C. Forced to go on the run when a trusted staff member betrays them, Leo cautiously teams up with some fellow survivors – including corner shop owner Joe (Mykelti Williamson), Mexican immigrant Marcos (Joseph Julian Soria) and reformed gangbanger Laney (Betty Gabriel) – in order to protect Roan by any means necessary. It’s easy to see why filmmakers are drawn to Roald Dahl’s work. He liked placing his stories in our world while adding something most definitely not from our world, with several of his stories coming with a new language. 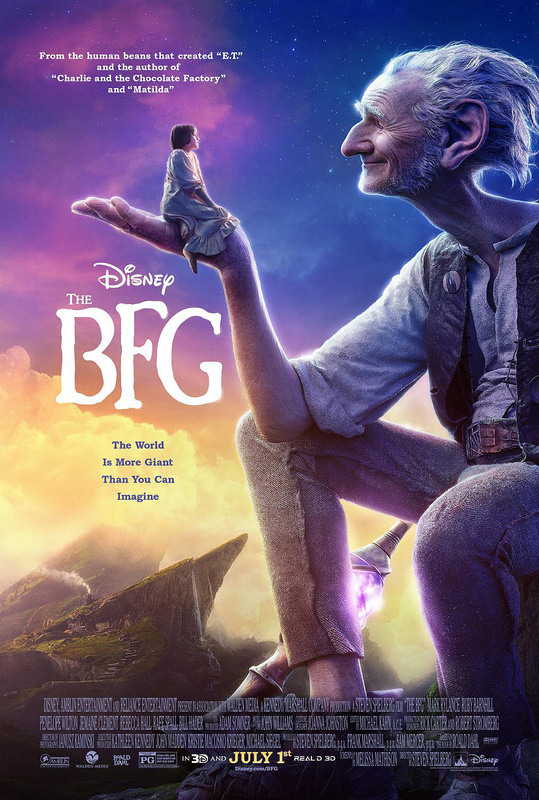 “The BFG” hits everything on the Dahl checklist, but it has trouble getting out of second gear. It’s sweet, it’s beautifully shot, and it sports another fine performance from Mark Rylance (who, last time he worked with “BFG” director Steven Spielberg, won an Oscar for his work in “Bridge of Spies”), but let’s point out the elephant in the room, shall we? Wes Anderson wrecked the curve for Roald Dahl adaptations with his stop-motion masterpiece “Fantastic Mr. Fox.” Following in that movie’s footsteps, even seven years later and multiple generations of technological advancement – something that is clearly prioritized here – “The BFG” didn’t have a prayer. Sophie (Ruby Barnhill) lives in a London orphanage at a time that is at first undetermined, but we later learn is the early 1980s (Dahl’s book was released in 1982). She has trouble sleeping, and it is on a sleepless night that she sees a giant walking the streets. The giant (Rylance) sees that he’s been spotted and, out of concern that she will tell the authorities and make things difficult for him, he snatches Sophie and takes her to his home in a faraway land. Unlike the giants he lives with, he has no intentions of hurting her (the others love eating children, and would devour her on sight), and he even takes her as he goes to work catching dreams. The other giants are much larger and meaner than Sophie’s giant – whom she calls BFG after he remarked that he’d like to be known as the Big Friendly Giant – and they bully him relentlessly. Sophie encourages BFG to stand up for himself and comes up with a plan to put the giants in their place.